1st January 2016. 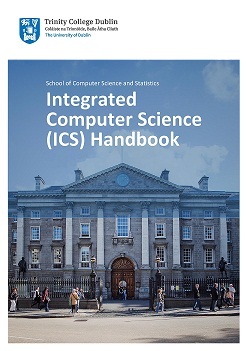 I have been appointed as course director of the Integrated Computer Science degree programme. 26-28th August 2015. 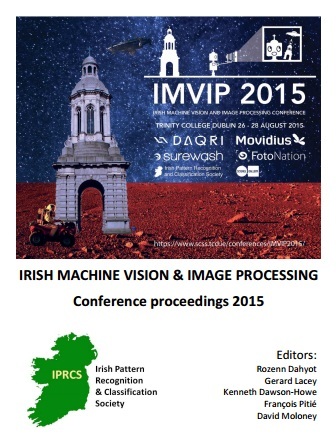 The 17th Irish Machine Vision and Image Processing conference (IMVIP 2015) was hosted here in Trinity College. I was one of the co-chairs. This is the main Irish computer vision conference and the proceedings are available online. 13th May 2014. 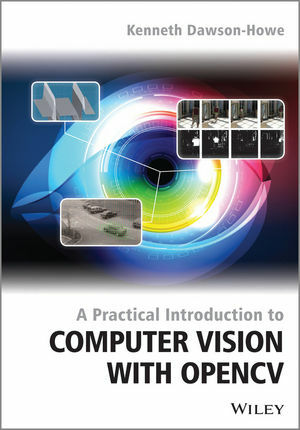 A new textbook entitled A Practical Introduction to Computer Vision with OpenCV3 has just been published by Wiley. It is available in paperbook (amazon.co.uk / amazon.com) and as an eBook (amazon.co.uk / amazon.com) and has a companion website. 27th December 2013. 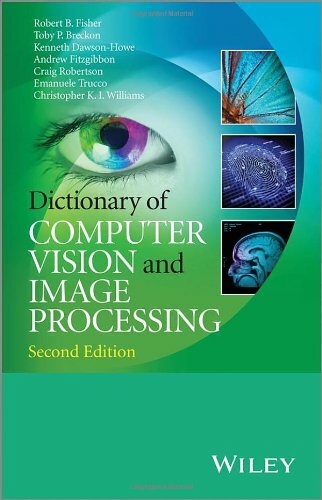 The second edition of the Dictionary of Computer Vision and Image Processing has been published and is available for purchase (e.g. See amazon.co.uk or amazon.com). Computer Vision/Vision Systems (CS4053). This is an introduction to Computer Vision for final year. Read this extra information if you're thinking of taking this option. Introduction to Programming (CS1010). This is an introductory course to Programming which is taught using Java. I teach the first semester of this course which looks at basic imperative programming (e.g. simple types, variables, terminal & dialog I/O, loops, conditional statements, functions, array). I supervise (final year / year 5 / taught MSc) projects which have a computer vision component. To give you a feel for this type of project have a look at some previous projects (from tcd.ie domains only) that I have supervised. For further information (about project organisation, platform, weighting for evaluation, etc.) see this page. If you want to talk about a project or suggest one in the area of computer vision my contact details are here. My current project proposals: All of my project proposals are relevant to final year students, year 5 students (taking an integrated Masters programme) and taught M.Sc. students. I now provide my project proposals in just one location (HERE) on what is referred to as the final year projects page (although the name and url don't refer to final year any more!). Full publication listing (click here). My most significant publications are a textbook in computer vision, and two editions of a dictionary of computer vision terminology. My current research interests are in surveillance, video segmentation, video understanding and video adaptation. My previous areas of research have included Gambling, Surveillance, Medical Imaging (Analysis of Ultrasound Images), Robotic landmine detection, Assistive Robotics for the disabled, Attention in Active Vision, Image Compression, Teaching in Computer Science, Real-time tracking of hand pose for Virtual Reality, Industrial Inspection (Relay Contacts and Printed Circuit Boards), Landmine Detection in Infrared Images, Computer Vision (General), Camera Calibration, Object Recognition (using 3-D models), 3-D Model extraction from images. 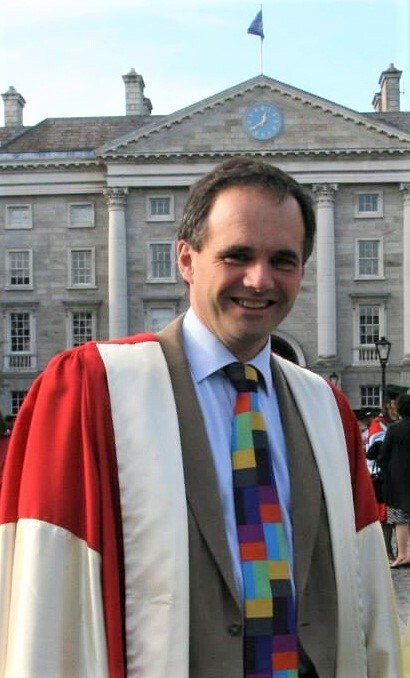 Postal address: Dr. Kenneth Dawson-Howe, Department of Computer Science, Trinity College, Dublin 2, Ireland. Office location: Room G.12, O'Reilly Institute.